From YGOC: Three challenging years have passed since the devastation of Hurricane Sandy ripped through our Yeshiva. The damage was immense. Our main building, home to our Bais Medrash, dining room, kitchen, Shiur rooms, offices and more, was filled with water from the basement until knee high on the main floor. The waters damaged many Seforim, furniture, almost the entire kitchen, and so much more. 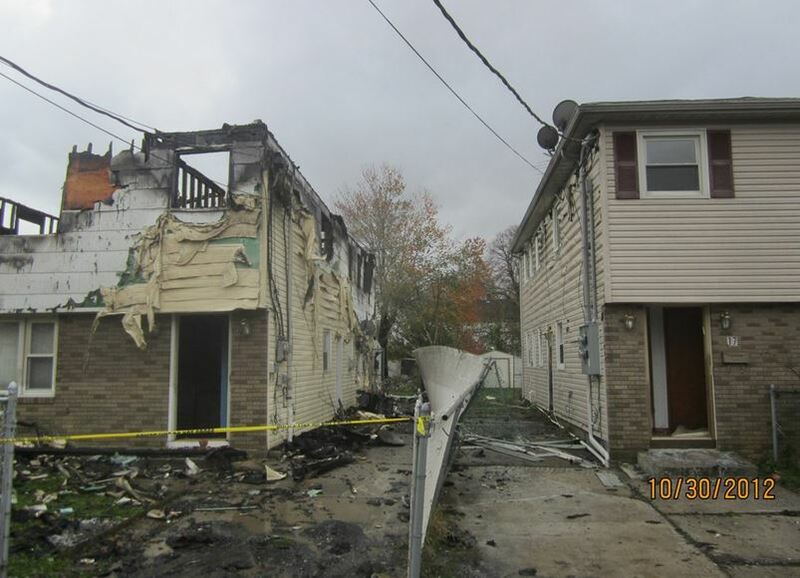 One of the Yeshiva’s dormitories was irreparably damaged by water and an explosion from a neighboring property. The township condemned that property, leaving the yeshiva with an after-insurance loss of nearly $40,000. Our other dormitory was flooded from the ground to the ceiling of the lower level, causing more significant damage. Without electric, heat or shelter, the Yeshiva was forced to vacate to a facility set up by government agencies. All told, the damages left the Yeshiva with close to $200,000 in necessary repairs. For many, Government agencies and other organizations came to assist, aiding them to rebuild and recover. However, we’re still waiting… It is 3 years later and we are still waiting for FEMA to decide if organizations such as ours should be eligible to receive funds to help us repair and rebuild. We couldn’t wait, and we didn’t. With the generosity of many supporters and several organizations we were able to survive and continue. We borrowed money and we repaired for the sake of continuous Torah learning. We allowed our paychecks to fall far behind, and we continue to learn despite the hardships. The Yeshiva returned to it’s previous Sedorim, and the Bochurim are back to growing in their Torah and Avodah. But we still have not been able to fully recover, because loans need to be repaid and more repairs are still needed. We now turn to YOU to help us move forward. Help us finally get past those devastating days and continue in our Avodas HaKodesh. Please share this campaign with your family and friends. Make it a WIN – WIN Situation! Donations of $100 or more will receive an entry into our Annual $100,000 Raffle! A chance to win $100,000 or one of the 6 other fantastic prizes! You will also be included in our early bird raffle for a 2-year Lease on a Honda Accord or Chrysler Minivan!! There are 6 Comments to "Three Years after Sandy, Yeshivah Gedolah of Carteret Still Hasn’t Recovered; Help the Yeshivah and Win"
Yeshiva Gedolah of Carteret is a really amazing yeshiva, with warm caring rabbeim and great bachurim. I was there during hurricane Sandy and I was a first hand witness to the destruction from the hurricane. I also saw the rebuilding and the concern for the bachurim, and that the quality of the limud hatorah should continue. I urge all of you to support such a prestigious yeshiva. What a good cause. This is such an amazing yeshiva and hanhala. they are doing great work and have Lakewood kids there. As an alumnus of Yeshiva who gained so much, I owe it to our Rabbeim who dedicated everything in order to help each one of us grow in both Ruchnius & Gashmius in such a personal and touching way! I made a donation, please join and make yours. Every dollar adds up! Hatzlachah Rabbah!